DJ Shadow Dubai is a multiple award winning superstar Bollywood DJ; and has officially produced for Sean Paul, Badshah, Bohemia and More. Awarded the Best Asian DJ in Masala Awards 2015/2012/2012; World Top DJs 2016/2015/2013/2012/2011; Ahlan Awards 2014/2013. DJ Shadow Dubai's last single Move Your Body is yet another feather in his cap. Being one of the biggest and the most unique collaboration..., the single boasts names like Sean Paul and Badshah. The success of the single in the Asian market has reinstated DJ Shadows' numero uno position as a musician. The single is slated to hit the Global market in the latter of 2017, followed by 'Aaja Ni Aaja' - a much-awaited single with Bohemia. 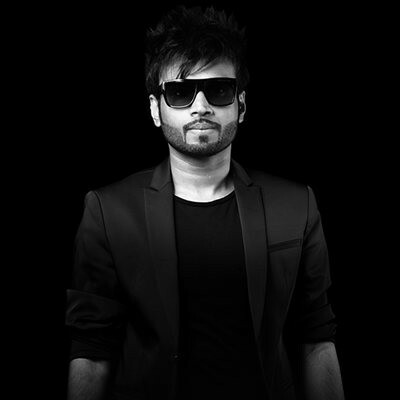 Having a sharp ear for music, DJ Shadow Dubai has always wanted to grow as an artist and has now stepped into the shoes of a music producer with tracks for Sean Paul, Badshah, Bohemia, Juggy D, Deep Money and Falak Shabir. His remixes has become popular worldwide and has collaborated on official remixes with the likes of Jay Sean, Yo Yo Honey Singh, Jazzy B, Arijit Singh and Diljit Dosanjh. Over the last couple of years, DJ Shadow Dubai has performed to thousands of crowds around the world in over 500 shows. He has also recently featured in the soundtracks of Bollywood movies including Aashiqui 2 & Zid. DJ Shadow Dubai has performed for celebrities like Shahrukh Khan,Salman Khan, Akshay Kumar, Kajol, Deepika Padukone, Ranveer Singh and more. DJ Shadow Dubai has been a popular voice on national airwaves and has taken this further by being a part of the world’s largest In–Flight Entertainment system of Emirates Airlines in the form of the official podcast “Shadow Experience“, which plays across all of their fleet of over 200 aircrafts. He has also been highlighted in the Guinness Book of World Records for having participated in the World’s Biggest DJ Rally. DJ Shadow Dubai is also the founder of Shadow Experience, a collective of award winning producers, artists, songwriters & DJs, producing & supporting Bollywood music worldwide.